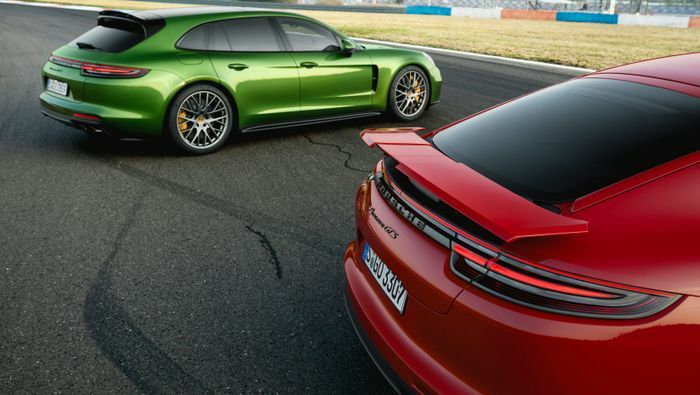 Porsche has revealed a new GTS variant of the Panamera, and unlike the V6-powered Cayenne it uses a mighty 4.0-litre biturbo V8. Two variants have been confirmed: the four-door GT and the Sport Turismo shooting brake. Both fire 454bhp at all four wheels through an eight-speed PDK gearbox. 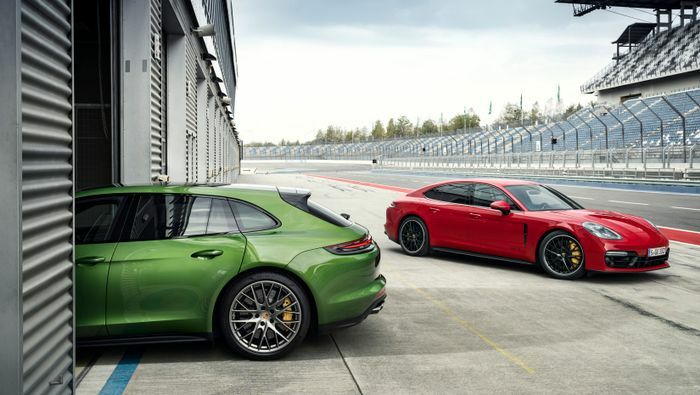 The engine is borrowed from the Panamera Turbo, but detuned, as both new models are intended to sit below the Turbo in the range. The V8’s performance should keep your passengers interested. 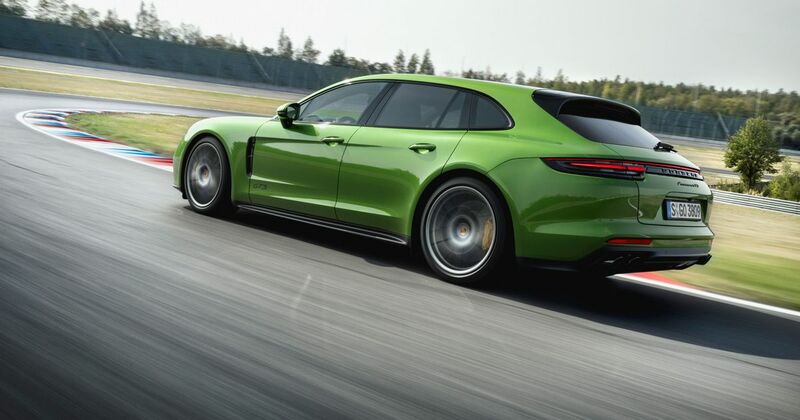 A hard launch will dispatch 62mph in 4.1 seconds in either body style while top speed is a very respectable 180mph for the Sport Turismo and 181mph for the traditional GT. Some 457lb ft of torque is on tap most of the way through the rev range. 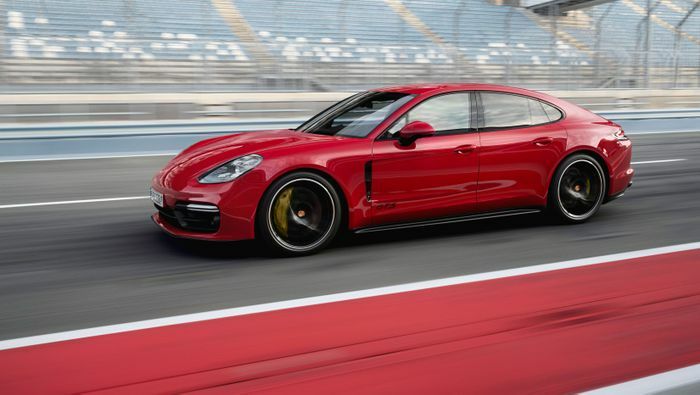 The automotive press weren’t too thrilled after the original 4.8-litre V8 in the Cayenne was swapped for a 3.6-litre V6 with two turbos, and it seems Porsche may have taken the criticism to heart, ensuring the Panamera keeps the extra two cylinders that the press and buying public alike want to see in a big Porsche. The firm has also turned its back on diesel forever. Fuel economy is not a prime concern here but on the tough new WLTP test the GTS duo manage 27.4mpg for the four-door and 26.6mpg for the heavier shooting brake. The Sport Chrono pack is standard alongside three-chamber air suspension and Sport Design package. 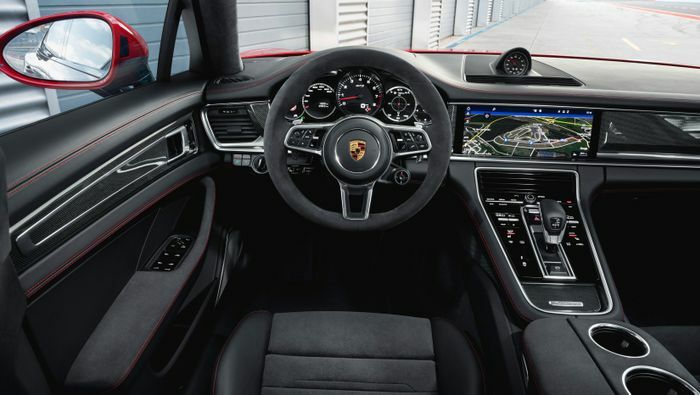 It’s also the first Porsche to feature a customisable head-up display with “various configuration options.” Active rear axle steering is an option. 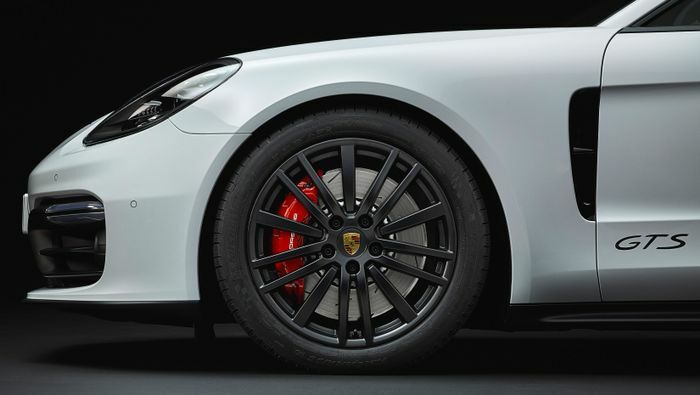 Porsche Active Suspension Management (PASM) is standard and has been recalibrated to feel even sportier than before. The two GTS cars sit 10mm lower than lesser Panameras. The anchors consist of 390mm and 365mm ventilated steel discs front and rear. Some of the images show drilled discs and others grooved, so one of the cars may be wearing an optional set not yet defined by Porsche. Prices will start from £105,963 for the four-door and £108,110 for the Sport Turismo, but you can bet your life on there being an extensive list of options with which to enhance the experience even more. On all of its engines Porsche has now started installing a gasoline particulate filter (GPF), similar to a diesel particulate filter (DPF). DPFs can get clogged up with repeated short journey usage where the exhaust fails to reach a high enough temperature to burn away the particulates, so it remains to be seen whether the GPF will develop the same flaw. Another interesting footnote is that ‘GTS’ stands for Gran Turismo Sport, so the GTS Sport Turismo is the Gran Turismo Sport Sport Turismo.